Did you have a case of the Monday blues? Hopefully you won't after reading this post! 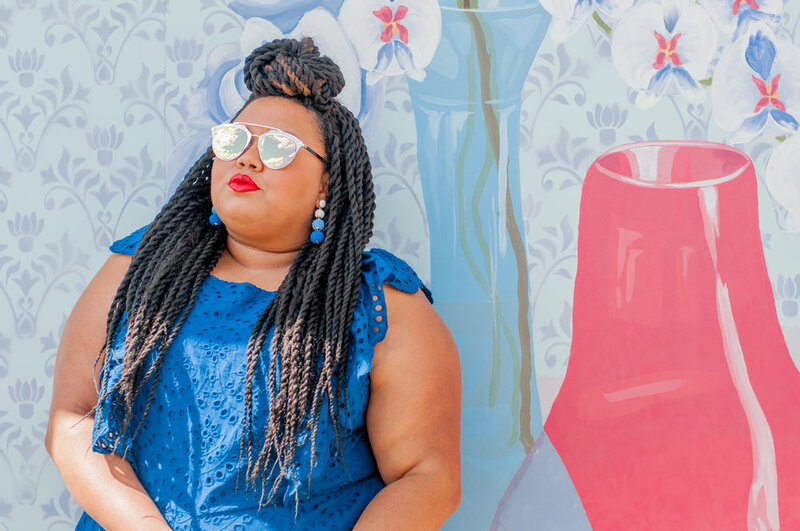 As a plus size woman, I struggle to find a ton of designer options that fit my style. 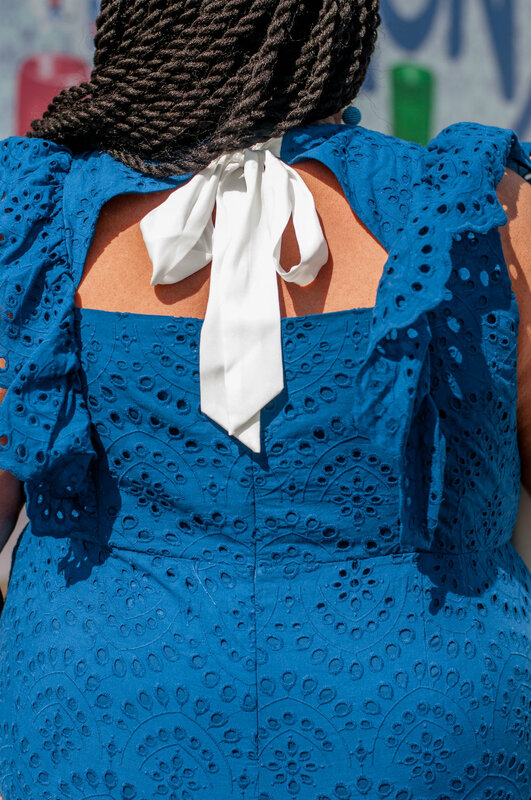 There's this misconception that curvy girls aren't going to pay designer prices. Not true! We need options to show you the green! Any way, as I step down off my soapbox, many of you know, I absolutely love Eloquii, so when they did there first designer partnership with Teresa Maccapani Missoni, I was so here for it. Normally, I don't make it a practice to wear eyelet. It's always seemed too country girl for my style...and then I saw this jumpsuit. As an apple-shaped curvy girl, I typically shy away from one-piece outfits, but this was sooo cute! With a chic twist to a soft and feminine pattern, this ruffle jumpsuit was so fun to wear. I paired it with a flat white sandal and oversized white bag. The details were everything and in perfect harmony! The designer collab also featured great dresses, all with this tropical water vibe. 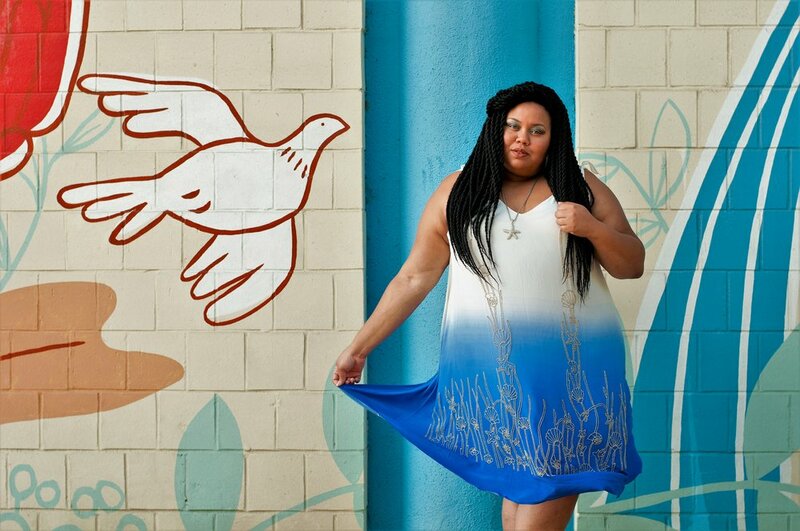 I channeled my inner mermaid in this silk trapeze dress. Ariel would have been proud. Once again, the details are stunning. The beading is so beautiful, and the fabric feels like you aren't wearing anything! I love the ties at the shoulders and the ombre effect on bottom. 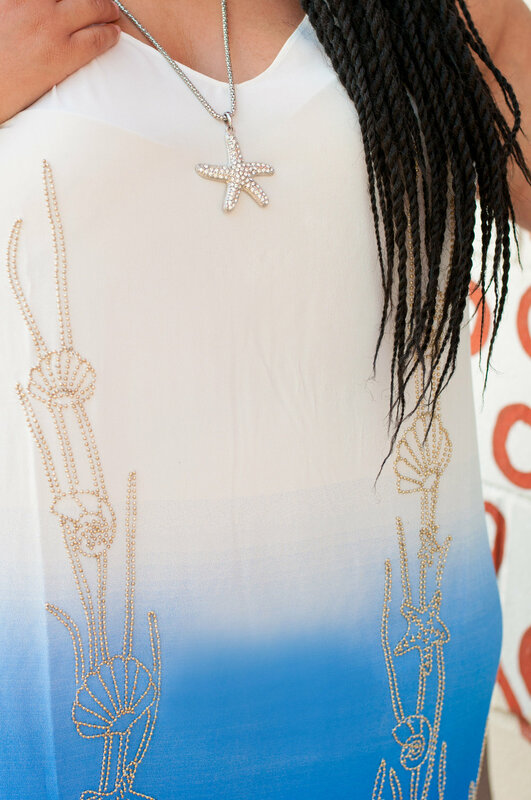 Perfect for summer date night or a weekend getaway to the beach, this dress can be worn in many settings. I simply can't say enough about this look. Here's a few shots of the great detail in this outfit. 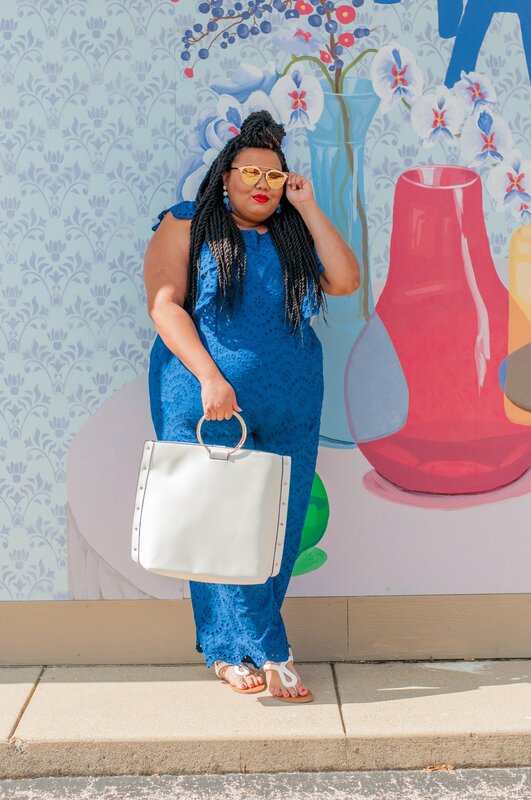 Make sure to check them out over at Eloquii's website. Would you wear either of these looks? Let me know in the comments below! Jumpsuit: size 26 (runs small in inseam), Dress (22/24). Both Teresa for Eloquii and c/o Eloquii as sponsors. All opinions are my own.